Welcome to the launch of our Contractor Succession blog post. In the coming weeks, months and years, we hope to communicate, inform and entertain you through this post on items having to do with exiting and improving your business. We believe our approach is unique in that we are able to provide exit strategies, succession planning and business improvement from the experience of a contractor and a coach. In addition to videos that we will be adding, these posts should begin to address some of the critical issues that contractors face when considering their next phase of life. 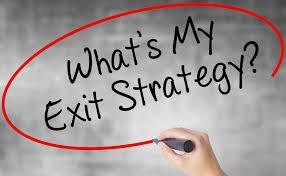 Scott Good and Mary Wolff have put together a unique strategy for helping contractors determine what and how a successful exit plan is designed. Scott’s 30+ years in the contracting industry as manager and owner and Marty’s 30+ years as a business owner, executive coach and sales guru have made them uniquely qualified to work with contractors who don’t know how to even start the process of mapping out a successful exit strategy. Visit Contractor Succession’s Facebook to see some of our videos and feel free to browse our website on how we might be able to help you move forward. We look forward to helping you Finish Strong and Finish Well!